He has undergone 2 stages of repair HT at our clinic. The first HT relied mostly on FUHT grafts (3500 FUHT + 12 beard hair grafts). The 2nd stage carried out almost 5 months ago relied mostly on beard hair grafts (2526 beard + 859 scalp FUSE grafts). Following pictures show the beard donor areas almost 5 months after extraction of 2526 beard grafts. 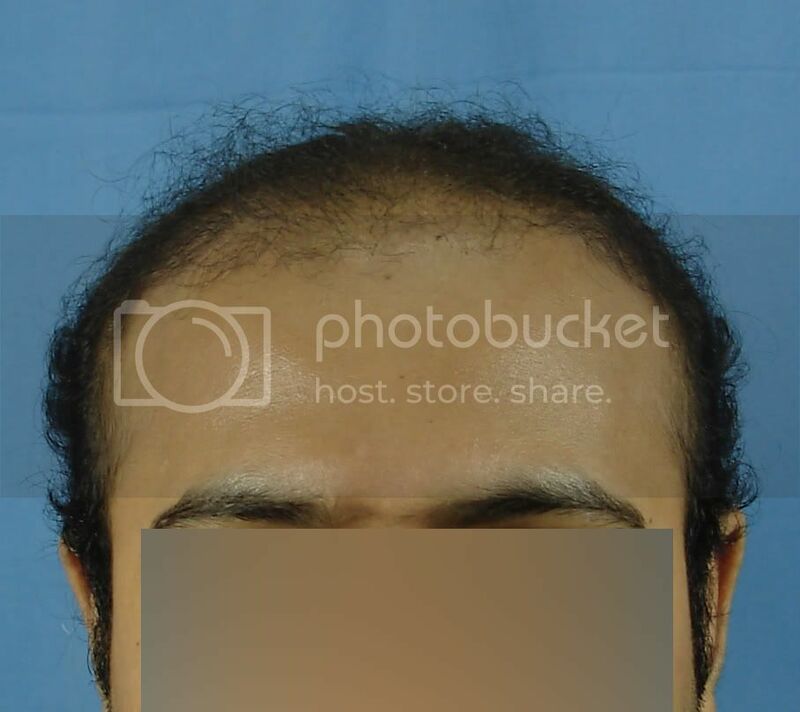 Here are pictures taken during beard hair graft extraction (for comparison). Following are some pictures that show the progress of this case till recently. Pictures taken by patient (arrows placed by me on 2 pictures to highlight certain points). The arrows show where the temple points were reconstructed less then 5 months ago. Excellent healing. The patient must be happy. Less beard and more hair on top. Double benefit. lot. Keep up the good work.